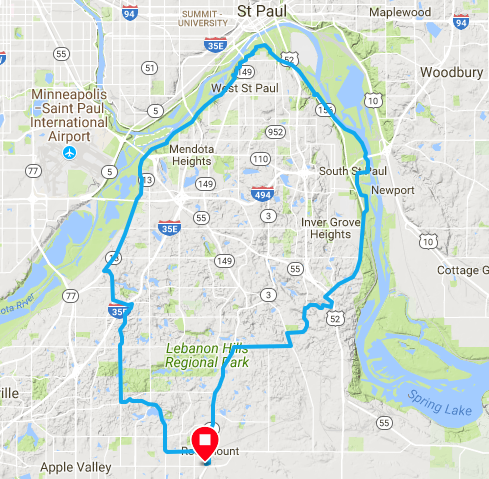 Routes start from 14903 South Robert Trail, Rosemount Minnesota, proceed to a destination, and return to the start. At the destination city, we often stop at a pastry shop, gas station, or public park to refuel our bodies and a nature break. 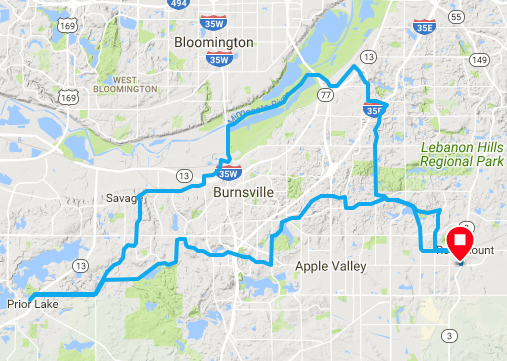 The routes below are listed alphabetically by destination city. 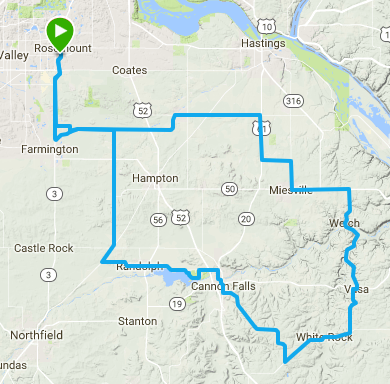 You may download these routes to your navigation device and follow the course during your ride. 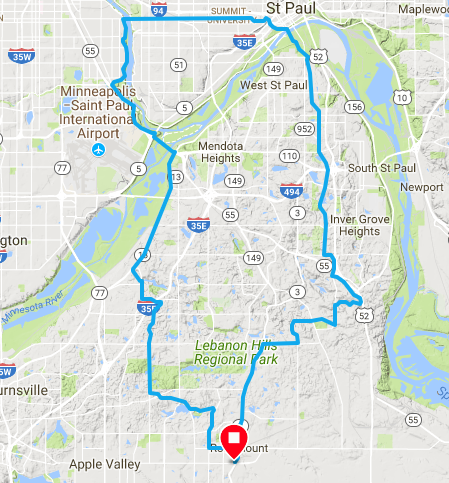 Tip: Before your ride, look at the wind direction and pick a route that provides a tail wind on the way back to your starting point.